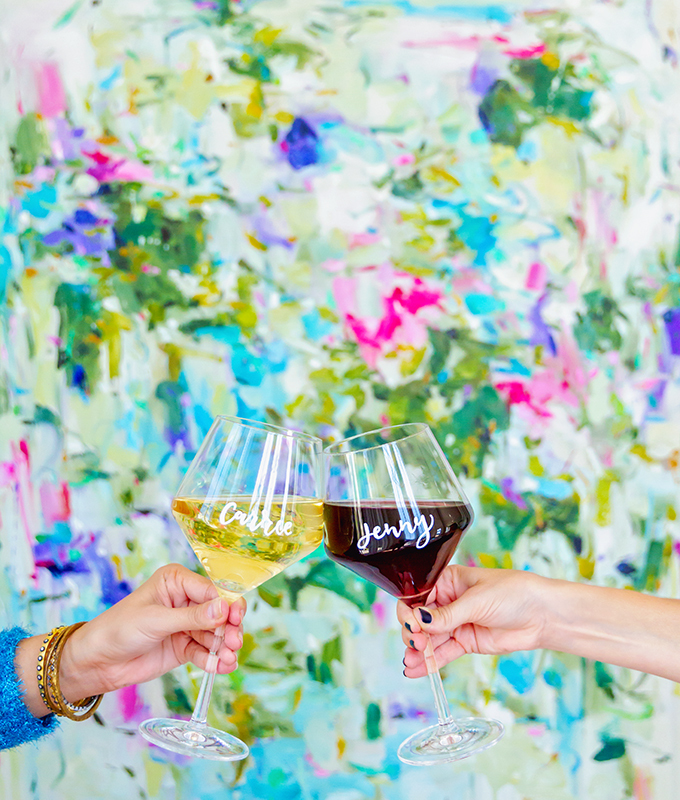 Aside from color, if there’s one thing our entire team loves in a big way it would be wine. We love our wine. More color, please! And more wine, please! Because, really, what’s more relaxing and fun than opening a delicious bottle of wine at the end of a long day? The cherry (or should I say grape?) on top of all that is when you enjoy wine with friends. The only thing better than opening a delicious bottle of wine at the end of a long day is opening said bottle of wine and enjoying it with your friends. Truth be told, it’s one of our favorite past times. Now, even better is when you take the time to learn something while drinking wine that legitimizes the imbibing even more, in our estimation. Wink, wink. You don’t have to be a sommelier to increase your knowledge of wine. And wine doesn’t have to be a stuffy topic. Learning about the different varietals is so interesting! And tasting all of them is, of course, the best part. 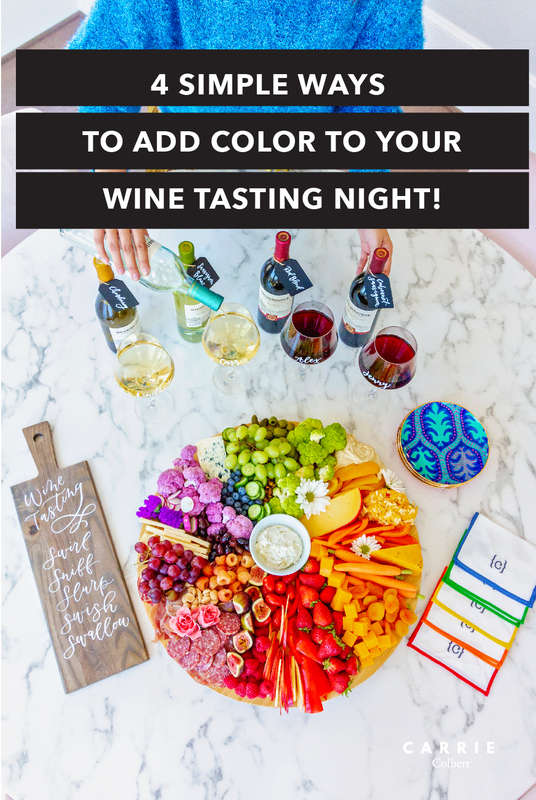 So keep on reading for how to add more fun and more color to your wine tasting night. 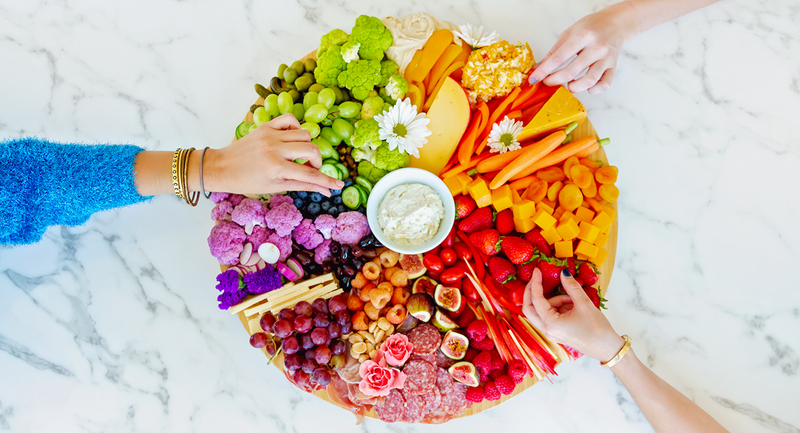 Spoiler alert: the party also includes the most epic rainbow-inspired cheese and charcuterie board. Cheers! 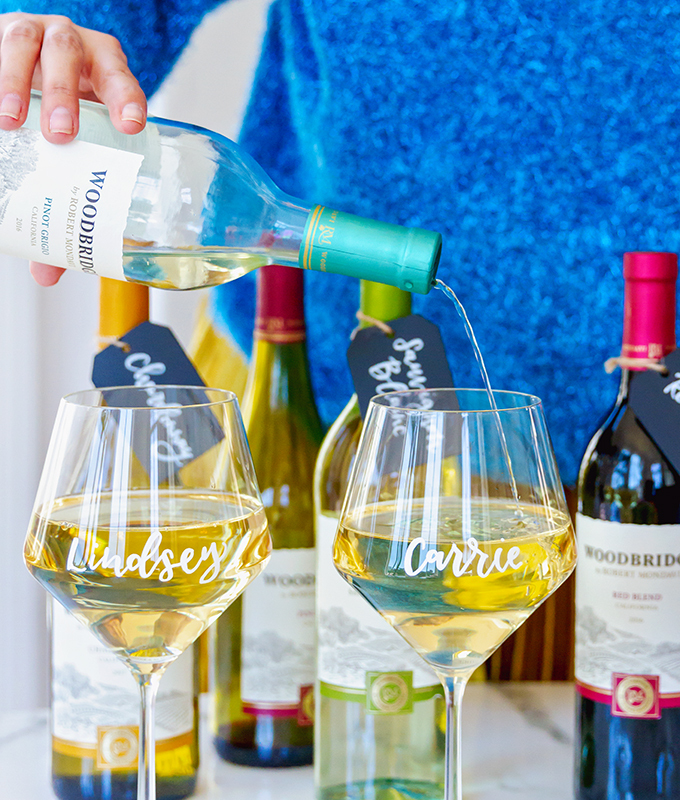 Encourage each friend to bring their favorite wine. In the case of our wine tasting night, the fine folks at Woodbridge Wines sent us a wonderful assortment of their wines. 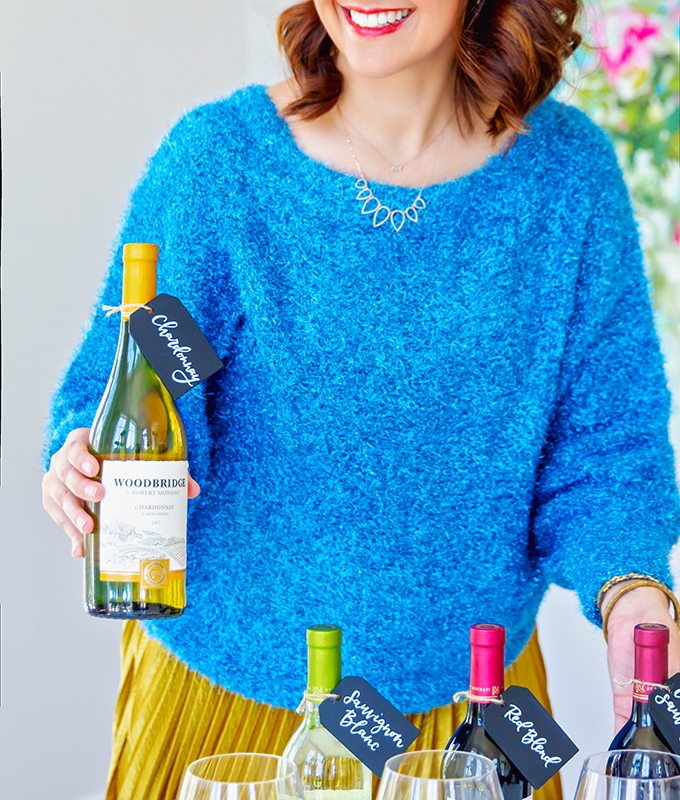 But in general, I would advise creating a list in advance of what everyone plans to bring, so that you can be sure there’s a great variety of wines. This way, everyone can try everyone else’s favorites and you can talk about why you like (or don’t like) the different wines. People can be so passionate about wine preferences! It’s fun to see how different tastes can be. Swirl, sniff, slurp, swish, and swallow. 1 – Swirl : Particularly with a red wine, the first step is to swirl it to aerate the wine, especially if the bottle has just been open. 2 – Sniff : Take a nice long sniff. How does it smell? Your sense of smell, believe it or not, can actually influence your sense of taste. Plus, wines just smell good! So, enjoy. 3 – Slurp : Though it doesn’t sound proper, slurping will help further aerate your wine. Take in some air as you drink. 4 – Swish : Again, this may seem unsophisticated, but experts recommend swishing your wine around – as you would mouthwash! This helps to expose the wine to every one of your tastebuds. 5 – Swallow : Finally, swallow slowly. Enjoy that wine! For more on the subject, check out this article. At the end of the day, the 5 S’s are simply a tool to help you experience the wine, rather than just consuming it. 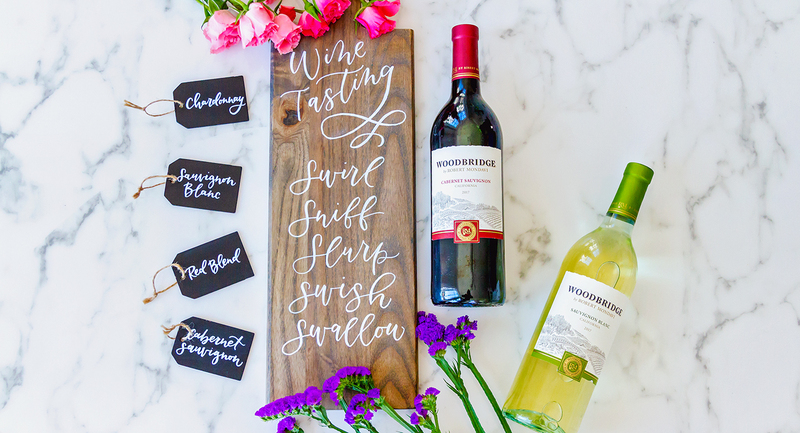 Now, to keep these 5 S’s at the forefront of your guests’ minds, create a handy dandy sign! We commissioned our talented friend Kristara to add this special touch to our wine tasting night. 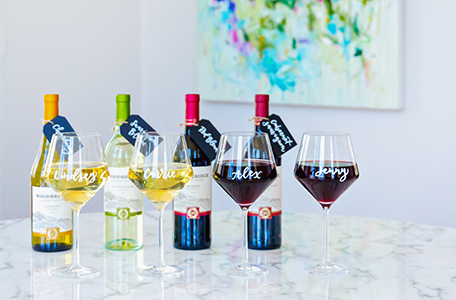 If you’d like to take it a step further, you can also print out the 5 S’s on notecards so that guests can take notes on their favorite wines throughout the night. Like we said, wine tasting isn’t only delicious, but you can also turn it into a fun educational night! And remember – there are no right or wrong answers. Each person may experience a wine differently. Who doesn’t love a personal touch? Plus, what’s a party without a party favor? 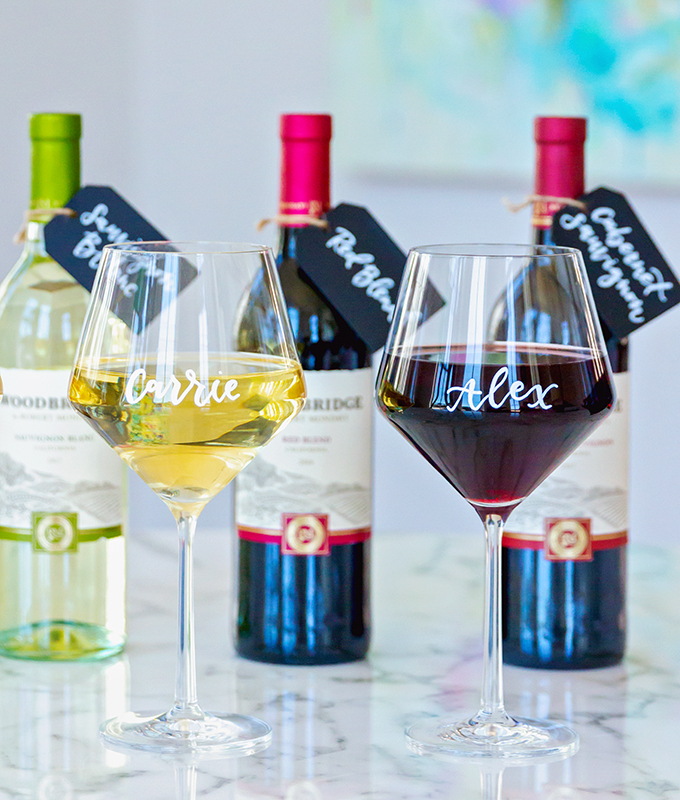 We recommend personalizing each wine glass with your guest’s names. 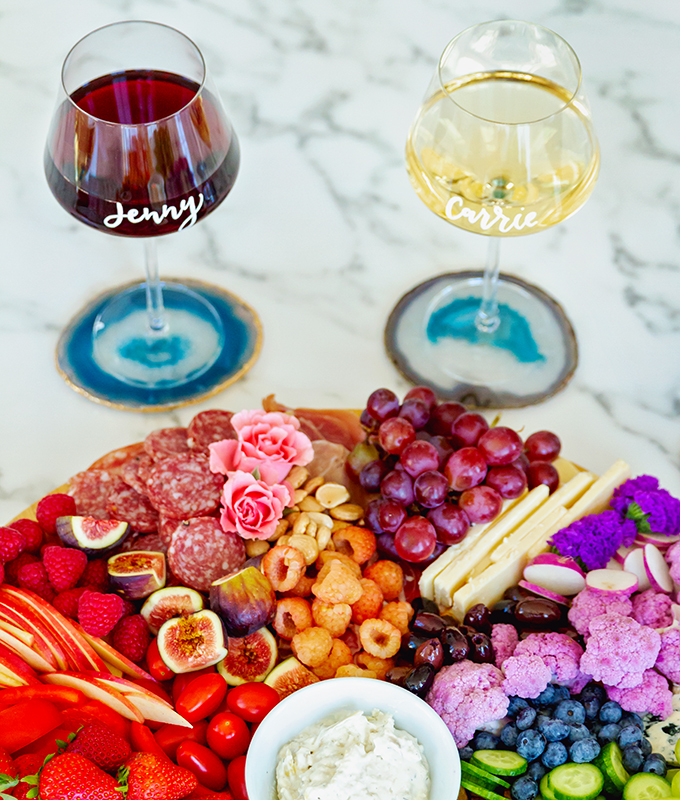 The personalized wine glasses serve as a place setting, drink marker, and party favor. Kristara added these calligraphed names to the wine glasses. 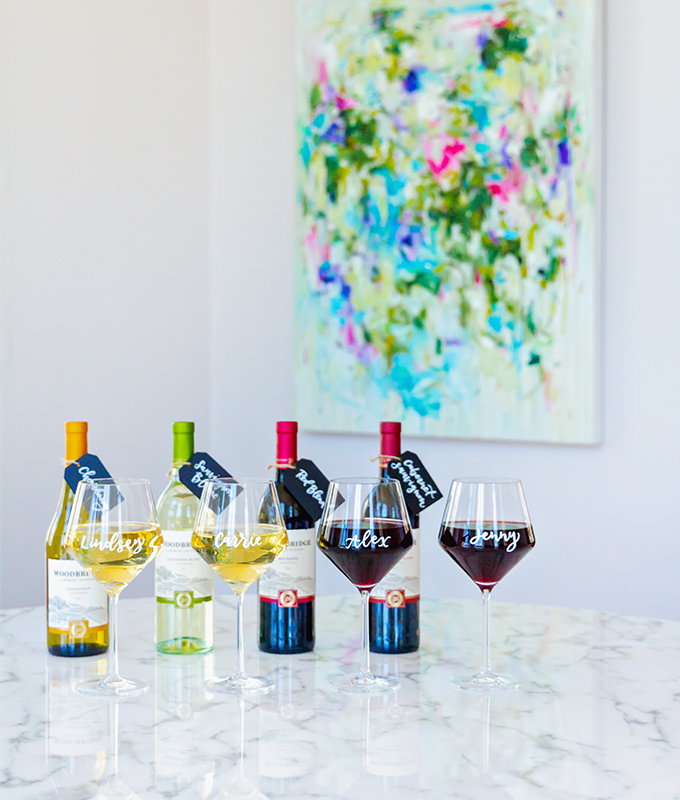 Granted, we know that technically different varietals of wines deserve different wine glasses. But we weren’t being super formal with this affair. So, we simply rinsed our glasses after each variety of wine. You can make this as formal or informal as you wish. 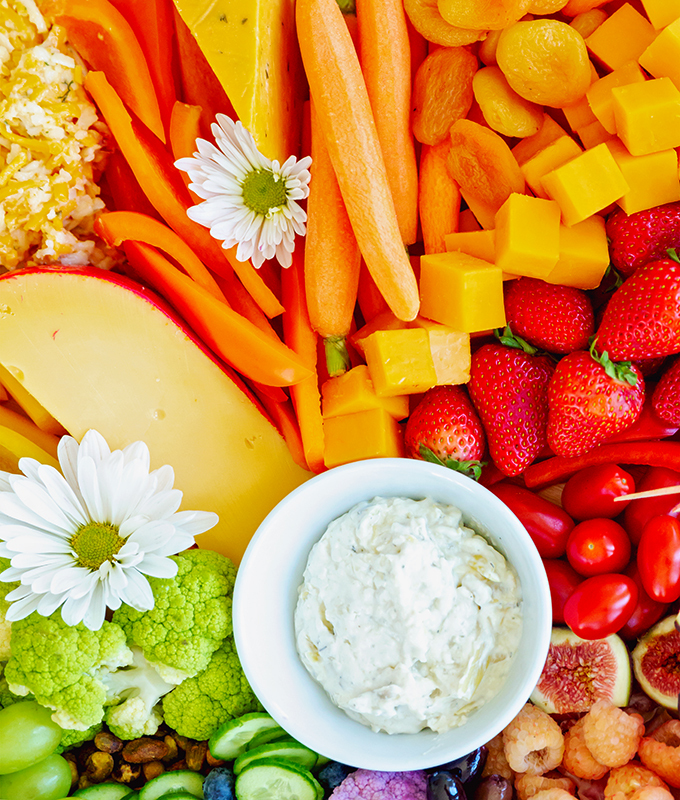 With all that wine, you’ll certainly need some sustenance. 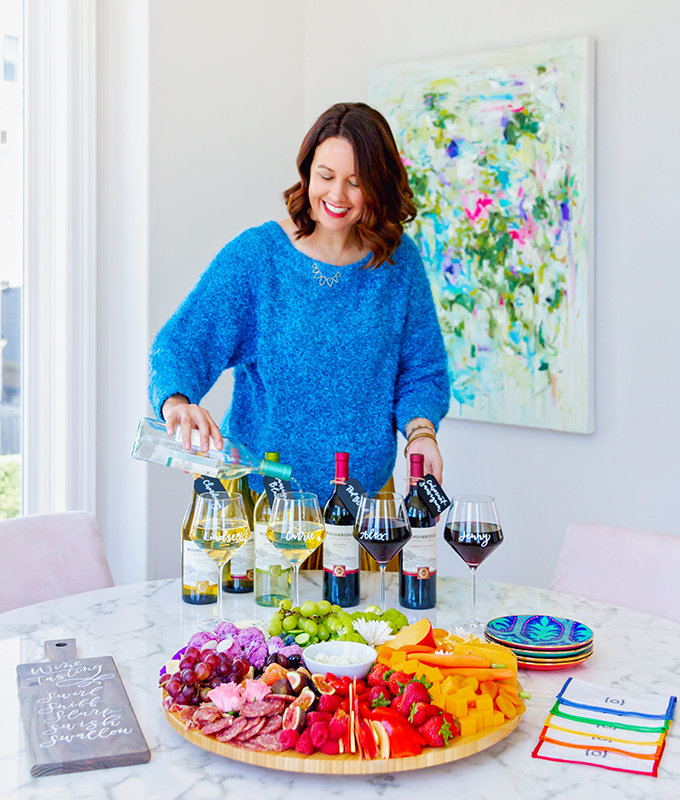 You can’t be drinking wine on an empty stomach! 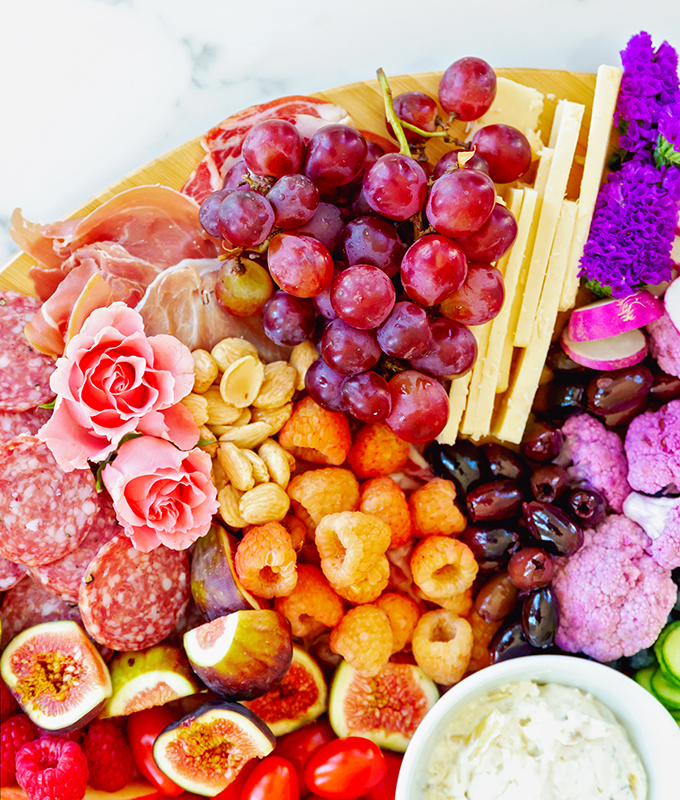 And what goes better with wine than cheese, crackers, and a charcuterie assortment? 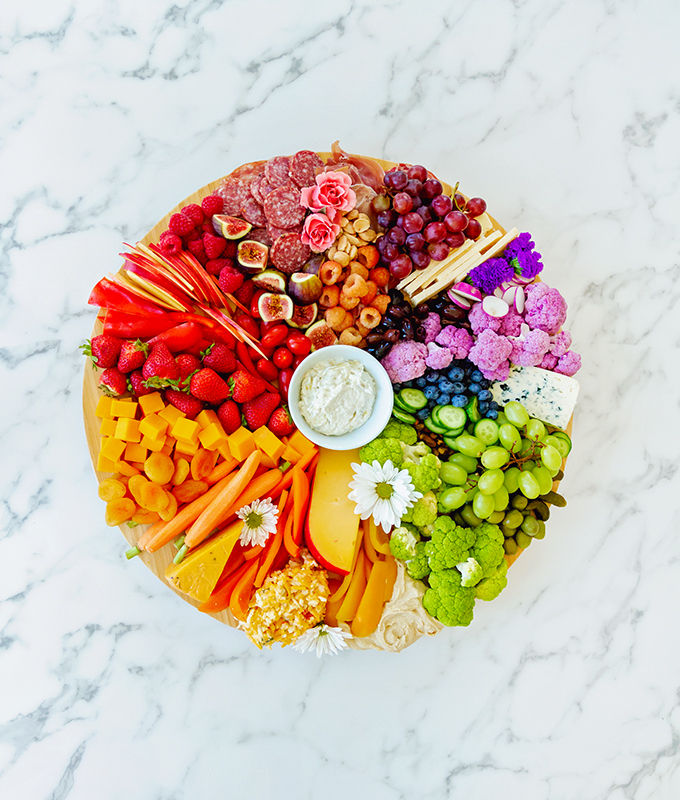 We created this epic, rainbow-inspired cheese and charcuterie board to refuel our guests. 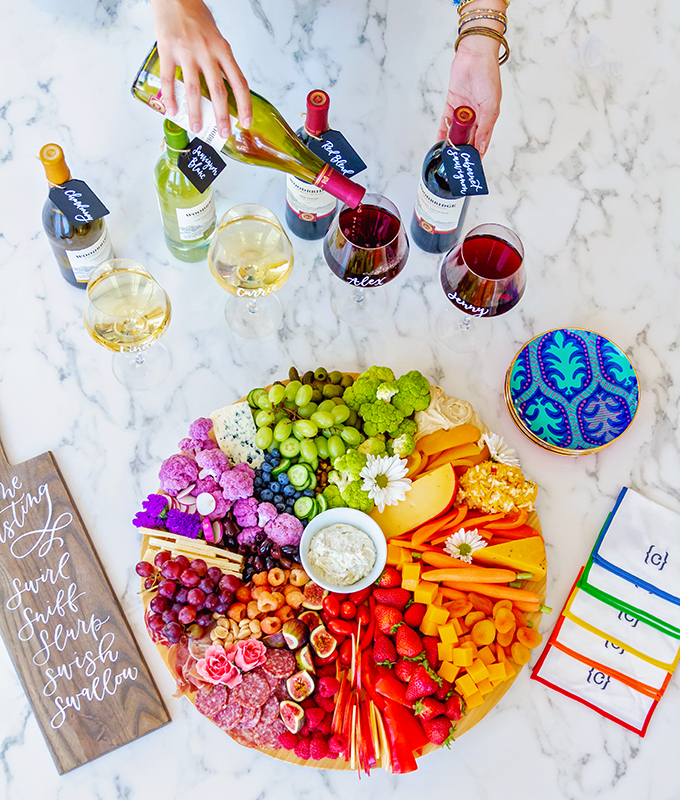 You can find the cheese board details below. 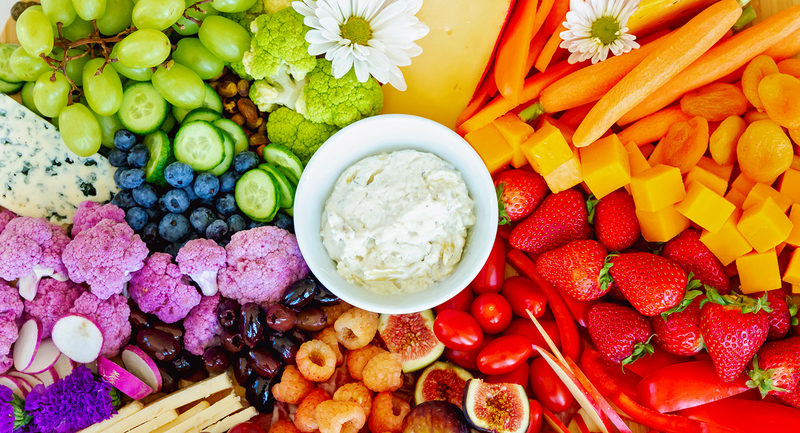 Tip: use a lazy susan! It’s a great way to make all the goodies accessible to all the guests! 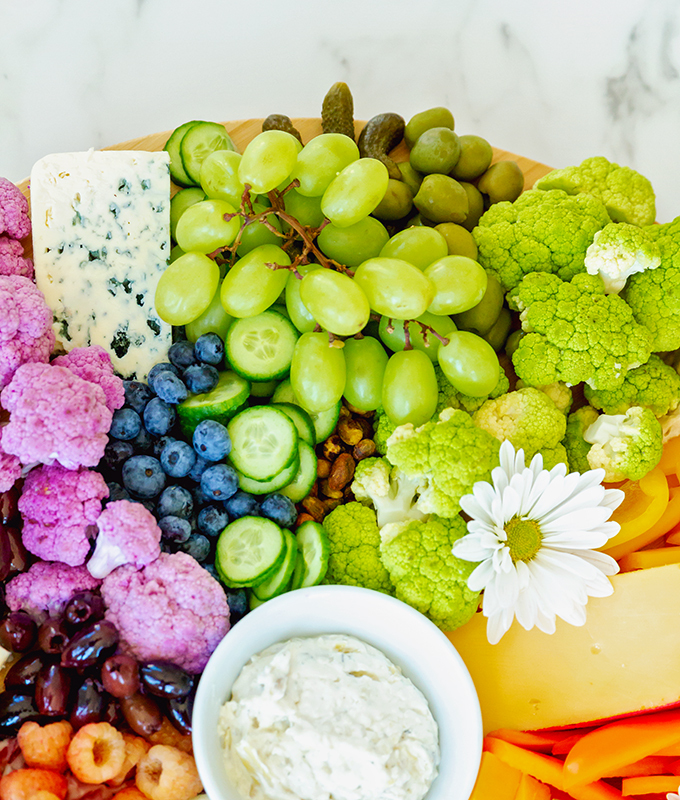 Start with the hallmark products like cheese and charcuterie then fill the holes with nuts, crackers, fruit, veggies and sweets. *We love watermelon radishes if they’re available. Simply arrange the board however you’d like. If you’d like to make it rainbow-inspired, as we did, place similar colored items together in rainbow order. 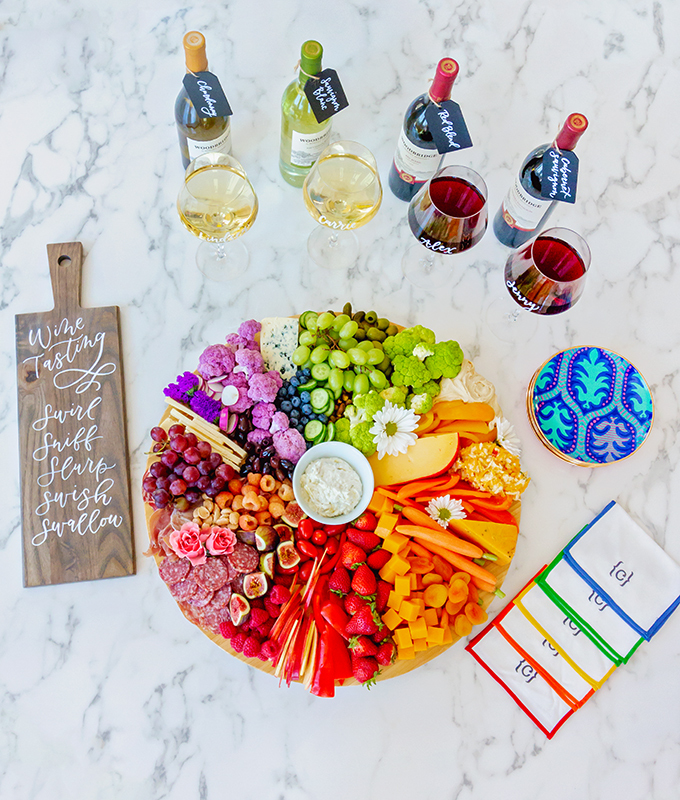 You can assort everything on a lazy Susan for ease and to resemble a color wheel or on any cheese board you’d like or even butcher’s paper. Carrie’s tip: Flowers aren’t only a beautiful last minute addition, but also help to fill in any empty spots. Have fun with it and use your favorite products! Just be sure to get a colorful variety of products if you, like us, love the rainbow look! 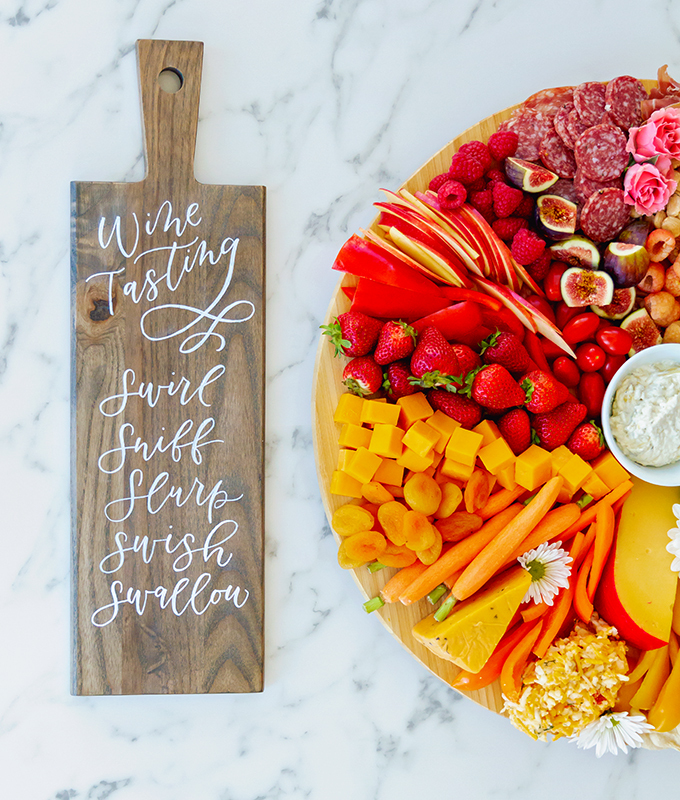 Are you inspired to host a wine tasting night now? Please tag us in photos so we can see if you do! We hope you had a relaxing weekend. Have a great day! We love florals this time of year.